Clarie was born at St Mary’s in 1938. He was raised at Pyengana and lived there until 1980. He and his brother Leon were both born with muscular dystrophy, which restircted them to life in a wheelchair. Clarrie was interested in the sport for woodchopping at an early age and from 1958 to 1962 and 1964 to 1982 he held the position of secretary and treasurer of the Pyengana Sports Club. From 1966 to 1982 he was the inagural President of the Pyengana Chopping Club, which was established to raise funds to St Giles in Launceston. This event is still running today. IN 1967 he became starter of the North Eastern Axeman’s Association, a position he held for 24 years. In 1979 he was awarded the Order of Australia Medal for service to the community. 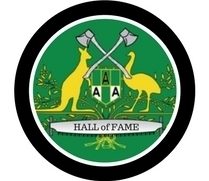 In 1983 he received an Australian Axemen’s Award of Merit, which was a tremendous honour for him. Clarrie was a very talented musician being able to play the mouth organ, button accordion, tin whistle, guitar, mandolin and ukulele. 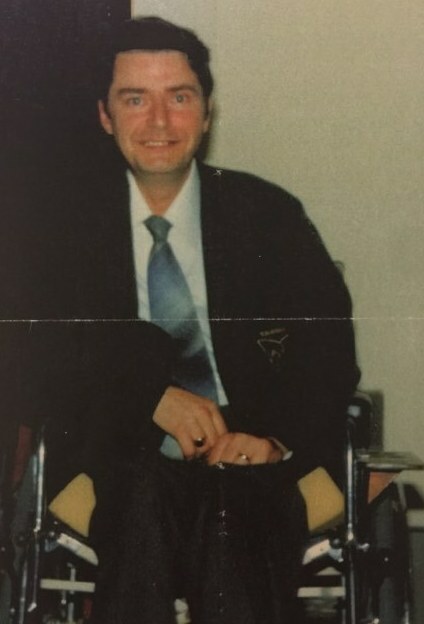 Clarrie held many positions with other organisations such as Disabled Peoples International and St Giles Society. Clarrie will be remembered for his sense of humour, his enjoyment of life and for his contributions to others.